This chapter offers an organizing framework for both new and familiar material; it includes both brief reminders of some points learned in earlier modules and recorded lecture content, as well as introducing several new points. Key terms used in the field of substance use, substance misuse, substance use disorders and addiction. 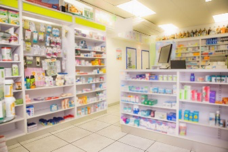 Let’s begin with debunking a common myth: many people believe that over-the-counter drugs sold in general drug and grocery stores are safe because they do not require a prescription to purchase. This is the myth. The simple truth: ANY drug, whether over-the-counter or prescription, is potentially dangerous if misused. All drugs have potential side effects. This is a common feature of both prescription and OTC drugs. 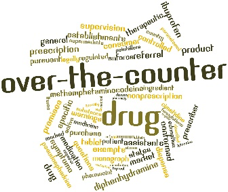 Therefore, what is true about the myth is that the DEA believes the OTC drugs to have low potential for abuse compared to drugs that become scheduled. What Is OTC Misuse About? You learned about the classes of sedative-hypnotic and CNS depressant drugs (Module 9), stimulant drugs (Module 10), and opioid and narcotic drugs (Module 11). In those modules, you learned a great deal about the epidemiology of who misuses the prescription forms of these substances. In the mainstream media, you hear a lot about the problem of prescription abuse, and these generally are the drugs they are talking about. OTC abuse is not loom as large on the public’s radar, however. There are three types of OTC drugs for us to consider in greater detail. Decongestants. Until relatively recently, pseudoephedrine was easily purchased as an OTC for managing cold, flu, and allergy symptoms of nasal congestion. Since 2005, it has become more tightly controlled. Although these medication are still available without a prescription, they are no longer simple OTC products in the United States. Their status is as a behind-the-counter (BTC) medication in some countries. In the United States, we have a limited version of BTC policy. This means that a person can purchase the substance without a prescription, but only through interacting with a pharmacist and in small amounts. The reason: pseudoephedrine can be used as an ingredient in the illegal manufacturing of methamphetamine. Medications containing pseudoephedrine may be abused on their own for other purposes: weight loss or as a stimulating performance enhancer (see the weight losss drugs discussion below, for example). Cough Medicines. Dextromethorphan (DXM) is an ingredient commonly found in many OTC products intended as a cough suppressant. At recommended doses, DXM works on the part of the brain region that controls coughing. However, at extremely high doses (10-50 times the recommended), it becomes a psychotropic drug, potentially causing euphoria or hallucinations (sometimes referred to as “robotripping” or “skittling”—see NIDA, 2014). The effect is as a dissociative hallucinogen, like with PCP or ketamine. Thus, it may not be for the alcohol content in cough medicine that people abuse these products (many forms are alcohol free nowadays, including tablets and capsules), instead it is about the DXM. Abuse of DXM is largely a young person’s behavior. One reason is that DXM is legal, easily accessible, and relatively inexpensive. Another is the perception of safety related to the myth we discussed above. And, it may be easier to hide from parents who are unaware that it represents a form of substance misuse. One hazard related to DXM misuse is the potential for acquiring it from outside of the United States in a very highly concentrated form meant for pharmacies to use in formulating controlled doses; this “raw” or “pure” form may easily be taken in much higher doses than intended. The risks include impaired judgment and mental function (thus, impaired driving and bad decisions about risky behaviors), irregular/rapid heart rate, increased blood pressure (thus, stroke risk increases), vomiting (thus, risk of aspiration/choking), and coma/death. Another hazard lies in taking DXM along with other substances. Furthermore, many of the formulations that contain DXM also have other medications in combination. For example, OTC cold/flu medications often contain acetaminophen, which can cause liver damage, heart attack, or stroke in overdose amounts. These formulations also may contain antihistamines and other substances intended to relieve cold/flu symptoms and that are dangerous at high doses. If a person is taking enough of the combination medications to “get high,” there may be enough of these other substances to cause irreversible or deadly damage. Some prescription cough medicines include codeine or its closely related cousins. These medications may be abused by individuals because codeine shares the same receptor sites as opioids and heroin (remember our neurotransmitters discussions). These are potentially addictive medications because of their impact on the increased dopamine released in the brain’s reward system. Weight Loss Aids. You learned about a variety of types of stimulant substances in Module 10, including amphetamines, cocaine, tobacco, and caffeine. One reason for misuse of stimulant drugs relates to their tendency to suppress appetite. In turn, this can contribute to weight loss. 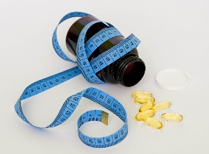 In the past, many individuals were prescribed stimulant drugs to achieve a weight loss goal. However, this practice has diminished markedly as a result of recognizing the high addictive potential associated with many of the stimulant prescription drugs. There are a wide range of OTC stimulant products on the market, with questionable levels of risk and benefit. 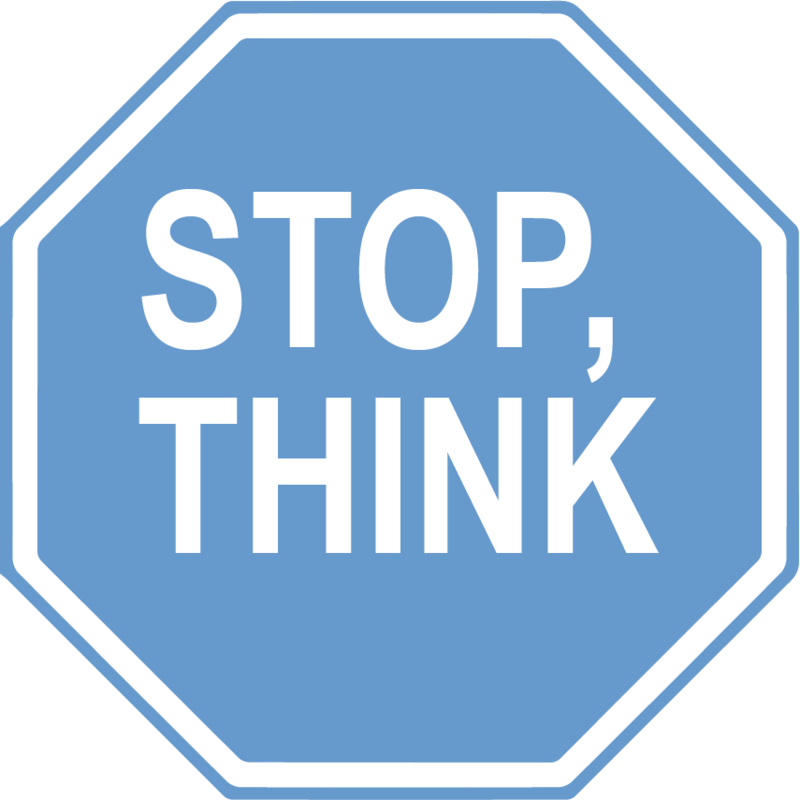 Until recently banned, products sold in the United States might have included ingredients like ephedrine and ephedra or phenylpropanolamine. The pseudoephedrine discussed above as an ingredient in methamphetamine may be abused for weight loss purposes, as well. Ingredients like bitter orange and ma huang (acting like ephedra) can cause nervousness, tremor, rapid/irregular heart rate, increased blood pressure, and stroke, as well as being potentially addictive (Cohen, 2013). Relatively recently, a new approach to serious weight loss medication has emerged: prescription medications that influence the brain chemistry of appetite and craving (thus helping reduce caloric intake) without the stimulant effects on heart rate and blood pressure. They largely operate on the serotonin neurotransmitter systems of the brain. These are prescription medications because of their potential risks. In earlier modules you learned about the problem of prescription drug abuse. Here is a sobering statistic that we have not yet addressed: the number of deaths nationally from opioid drugs alone (not all drugs) during 2015 was almost 35,000—very close to the 35,092 people who died in motor vehicle crashes (IIHS, 2016; NIDA, 2017). About 16,000 of these deaths involved prescription opioids and nearly 20,000 involved heroin or other non-methadone synthetics like illicit use of fentanyl (NIDA, 2017). What can be done to address the problem? The United Stated Department of Health and Human Services (HHS) produced a report containing a list of recommendations for addressing the massive problem of prescription abuse in the United States. As described in this report, current HHS prescription drug abuse activities fall within the following eight domains: 1) surveillance, 2) drug abuse prevention, 3) patient and public education, 4) provider education, 5) clinical practice tools, 6) regulatory and oversight activities, 7) drug abuse treatment, and 8) overdose prevention. Each of these areas contributes to ensuring the safe use of prescription drugs and the treatment of prescription drug dependence. Although significant efforts are already underway, a review of current activities along with a review of the prescription drug abuse literature, identified opportunities to enhance policy and programmatic efforts as well as future research are presented. Below are the overarching opportunities to enhance current activities identified in this report. Collaborate with insurers, and pharmacy benefit managers to identify and implement programs that improve oversight of high-risk prescribing. Described more fully in Section III of the report, the opportunities listed above serve to strengthen programs and policies to reduce prescription drug abuse and overdose in the U.S. HHS has been at the forefront of the response to this serious public health issue and is committed to working with our federal, state, local governmental and non-governmental partners to further the actions included in this report. You can see from this report that there is no one single, simple solution or strategy that will solve the problem. The complex nature of the issues involved dictates applying complex, integrated approaches. Considering this information about Over-the-Counter drugs, what do you think about the need for government bodies to have authority over these substances the way there is currently authority over prescription drugs? Which bodies should this be? On the other hand, how much discretion should manufacturers have over the claims they make about their OTC products and what should be their level of responsibility for consumer safety in using these products? What kinds of criteria should apply? The range could be anywhere from “buyer beware” to imposing strict controls. Ch. 1: Introduction by Audrey Begun is licensed under a Creative Commons Attribution-NonCommercial-NoDerivatives 4.0 International License, except where otherwise noted.